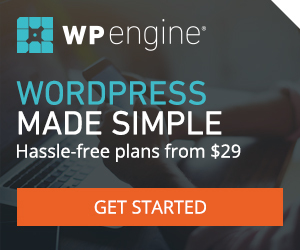 Do you need help with your wordpress site? We can assist you with a variety of services related to WordPress. We can create a new WordPress site or blog, update an existing wordpress site, fix a wordpress site that has crashed, maintain your site, create content for your site and all other things related to wordpress! This includes WordPress Security, Mobile and Search Engine Optimization related to WordPress. New Chicago WordPress Site – We can create you a custom wordpress theme design that includes everything you need. Edit Existing WordPress Site – We can make edits to your existing site, including updating the existing theme and layout. WordPress Security – Is your site secure? We can help make your site bulletproof to keep the hackers at bay. Malware Clean and Fix – Has your site been hacked and infected with malware? Contact us for ASAP Help. WordPress Mobile Services – Is your wordpress site mobile friendy? We can help you with all things MOBILE. WordPress SEO – Search Engine Optimization is still important and we can help setup Yoast SEO and optimize all pages in site. WordPress Speed and Performance – Google wants your site to be fast, is it? We can help make your site blazing fast. You can contact us below for any Wordpress or other CMS issues you may be having. We can maintain your site, update your blog with content, add security to your site or fix any issues you may be having.